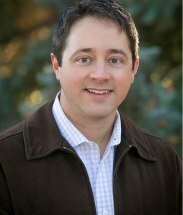 At the law firm of O'Brien Legal Services LLC, Bradley J. O'Brien is a real estate and business attorney who focuses on real estate and business transactions, negotiated and litigated resolutions of disputes, and strategic legal advice for clients throughout Colorado. We assist clients with existing commercial and residential property, new development and formation of entities to hold real estate title. In addition, Mr. O'Brien is able to assist clients with disputes concerning contracts, real estate title, payment and other disputes that may arise in real estate and business settings. Mr. O’Brien has resolved such legal disputes short of trial through settlement discussions, mediation and arbitration. Our diverse clientele includes property owners, businesses, private investors, lenders, borrowers, landlords, commercial tenants, contractors and many more. We handle most property types, including multifamily/apartment, office, retail, industrial, hotel, farm/ranch, vacant land, single-family residential, condominium/townhome and retirement properties. Prior to becoming an lawyer in 2005, Mr. O’Brien was a corporate finance and real estate finance professional for nine years, including five years with a Fortune 100 company and four years in commercial real estate and multifamily/residential lending. He has M.B.A. and J.D. degrees. For a closer look at the many ways that our experienced, responsive real estate law firm can help you, contact O'Brien Legal Services LLC in Denver. We look forward to speaking with you for your free initial consultation. Call today or stay online to send an email message. We will respond promptly.